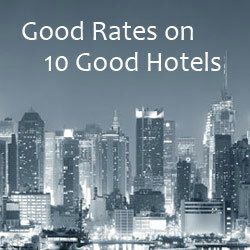 Expedia has a nifty page to help find good deals on good hotels. Use the link below to check it out. 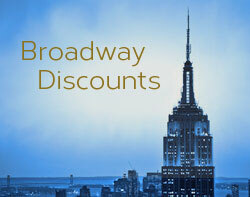 Up to 40% off best hotel picks – Top 10 Hotel Deals with Expedia! – Expires 11/20/13. Enter your destination – New York City, New York, for example. A list of 10 hotels will show up, with discounts if available. The nifty part is that you can change the “traveling in” entry to anything from 1 week to 7 weeks and the “check-in on” entry to any day of the week. Try it out and see how the rates change when you travel at different times of the week or when you book further in advance. The differences are significant.